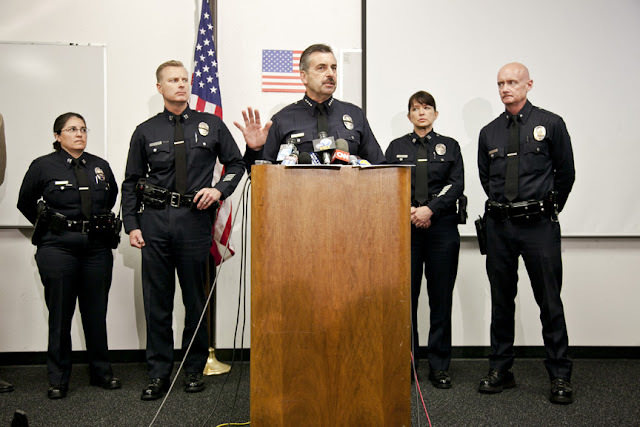 An emotional LAPD Chief Charlie Beck read a brief statement from the family of Gabriel Ben Meir who was slain by three robbers last Sunday. Gabriel Ben Meir, a TV producer for MTV, was found dead on a sidewalk in the early morning hours near his mid-Wilshire home last Sunday. 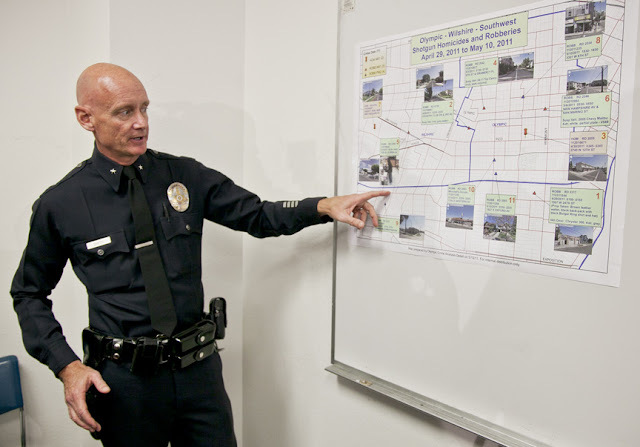 Chief Beck also commended the men and women of the LAPD, who worked around the clock to capture the three murder/robber suspects. Arrested are Richard Edward Anderson of Reseda a 33 year old male black, Destiny Young of L.A. a 29 year old white female, and Jabaar Vincent Thomas of L.A. a 26 year old black male. All will be charged for multiple counts of robbery and murder. The three suspects committed at least 11 crimes with a shotgun between the dates of 4-29-11 through 5-10-11, many of the robberies only yielded small amounts of cash. 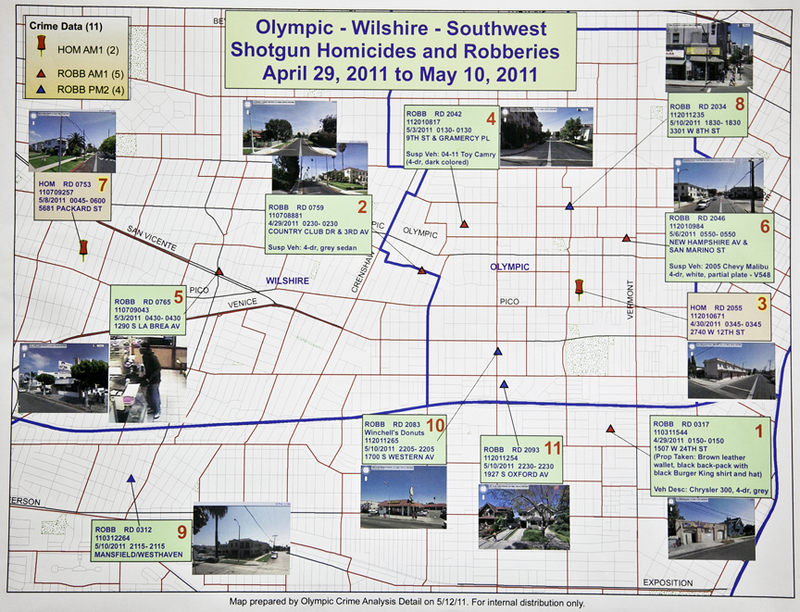 LAPD map of the 11 robberies and homicides.